Several restaurants along Main Street in downtown Royal Oak, including one that has closed, are reporting slower sales due to the construction of the municipality’s City Center Development. In recent weeks, the project saw the closing of some 500 parking spaces bordering an alley east of Main, and south of 11 Mile Road. Last week, Andiamo Trattoria said it was closing immediately, while other restaurants, some of which did not want to be names, report slower sales due to the construction project. The city is in the process of building a new city center and has selected Lansing’s Boji Group and several partners to complete the project without a public bid, according to a group of business leaders, property owners, government officials, and citizens in Royal Oak that oppose the development. The Take Back Royal Oak coalition of taxpayers was formed in May. The city project includes a new city hall, a new private office building, a new privately-owned parking deck that would service the office building, and a new public square. A new city hall would be built nearby and paid for by taxpayers. Several downtown property owners sued the city last year, and the case is currently in the Michigan Court of Appeals. The lawsuit states the city plans to give the Boji Group $5.5 million in cash to help the developer obtain a construction loan, while selling the so-called Williams Lot next to city hall, which has an estimated value of more than $2 million, to Boji for $1. In the lawsuit, the plaintiffs contend the project was rushed through by the city, it lacked proper traffic and parking studies, would be injurious to local businesses while deflate property values, and it would destroy or severely diminish private and public investments. Should the lawsuits prevail, the City Center project would be forced to create a workable site plan, lower costs to taxpayers, and provide ample parking for everyone, including the handicapped. The coalition says the city has eliminated several handicapped parking spaces as part of the project. All of Vicari’s other restaurants in the region remain open and are not affected by the Royal Oak closure. The coalition states city leaders have increased parking rates by 50 percent in downtown Royal Oak while more than 500 critical parking spaces have been eliminated. The group also contends the mayor and city commission have allowed select friends and family to park for free. The Take Back Royal Oak Coalition is a group of taxpayers including residents and businesses that want government transparency and to restore responsible government to the City of Royal Oak. 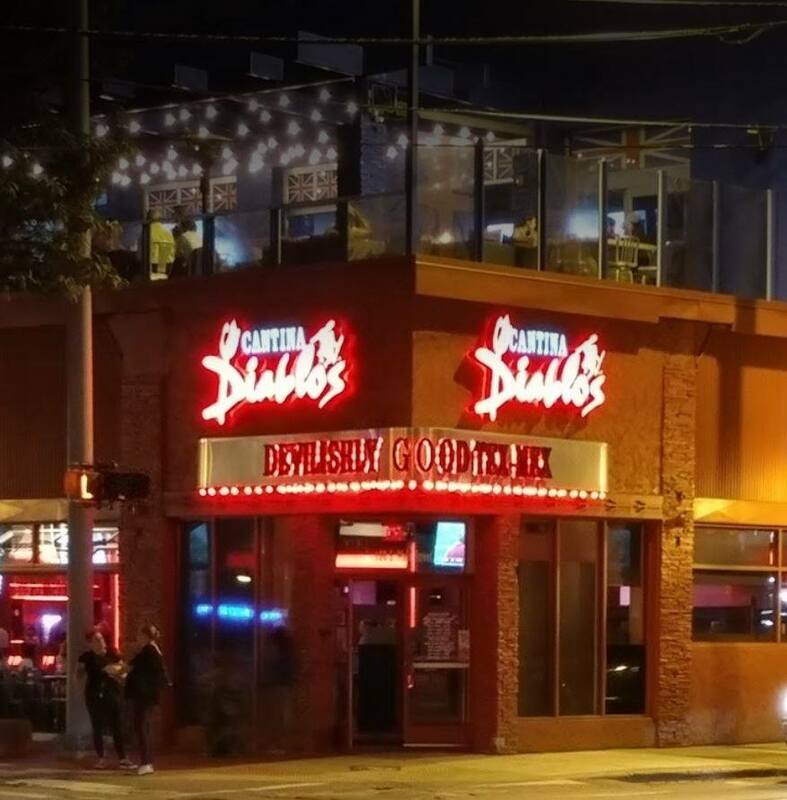 Correction: An earlier version of this article stated that Cantina Diablos and Red Fox in downtown Royal Oak were not renewing their leases, which is not the case.